It can be a challenge to know exactly what happens in regard to Tableau Server licensing and site roles when you plan to upgrade, especially from a pre-2018.1 version. 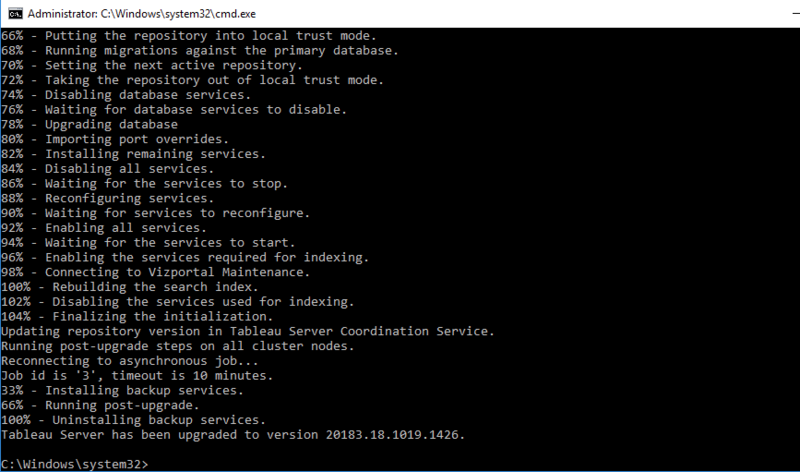 Here, I tested all potential site roles from upgrading Tableau Server 10.5 to 2018.3. Once that was finished, I logged into the TSM web UI as a local administrator, started Tableau Server and waited for all those little green checkmarks. I opened a new browser tab and navigated to my Tableau Server URL and logged in with the Server Administrator account. 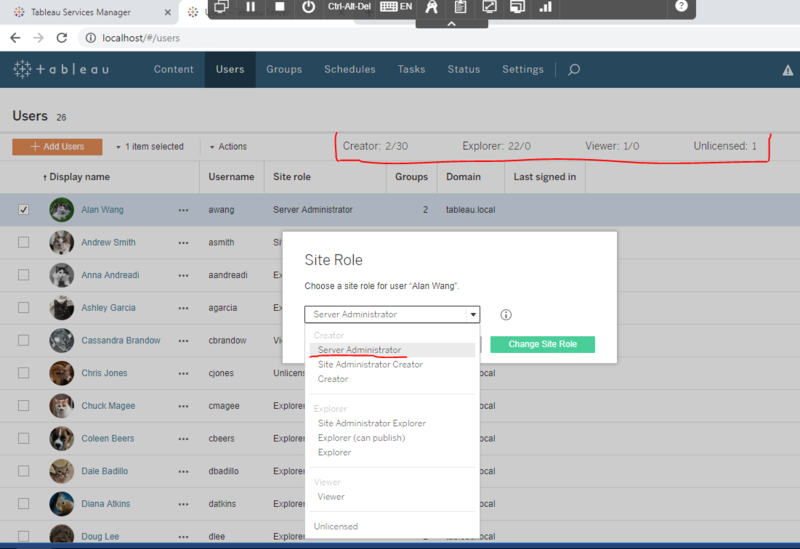 If Explorer is the highest license type activated on the server when a new server administrator user is created, the user’s site role is Server Administrator; however, the user will not have the connecting and publishing capabilities that come only with the Creator license. 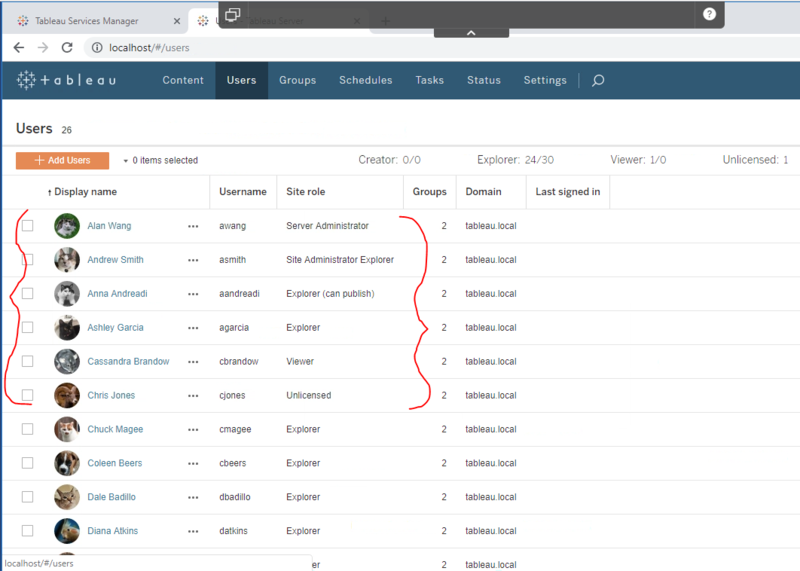 With the Explorer license, a Server Administrator has unrestricted access to the configuration settings for the Tableau Server browser environment, all sites on the server, users and groups, and all content assets, such as projects, data sources (including connection information) and workbooks. However, with the Explorer license, a Server Administrator cannot connect to Tableau-published data sources or external data from the browser, Tableau Desktop or Tableau Prep; they cannot create and publish new data sources; and they cannot author or publish workbooks. 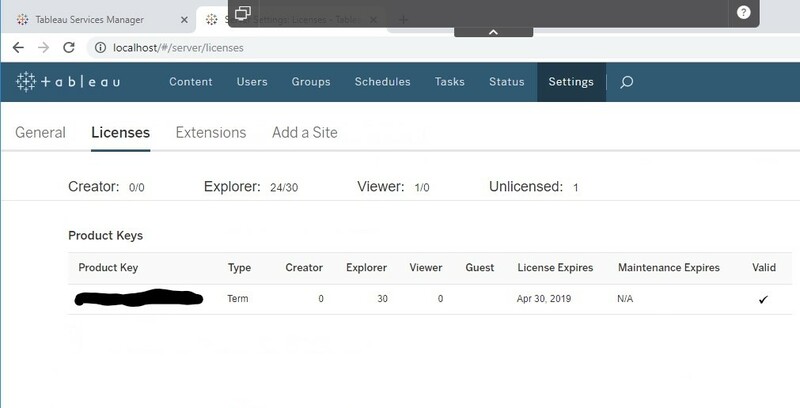 As you can see, the Server Administrators were automatically given a Creator license and the Creator Server Administrator Site Role. 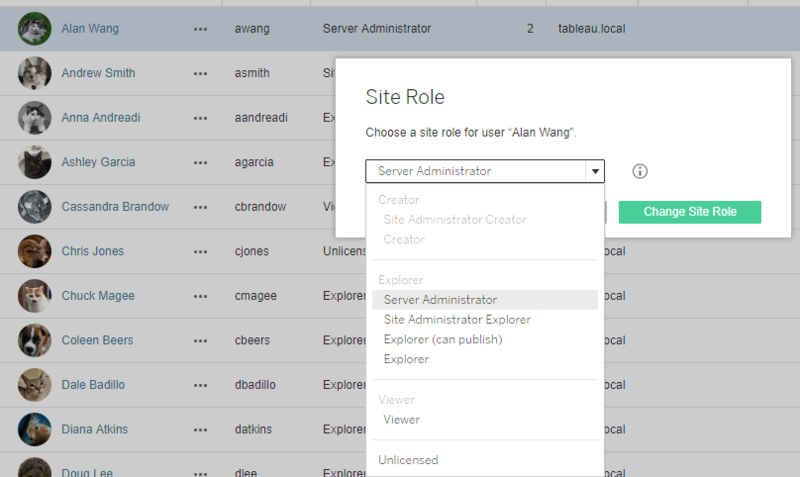 The rest of the user’s Site Roles stayed the same, but I have the option to give any of them Creator and the means to use Tableau Desktop and Tableau Prep. I now have the option to give any of the users a Creator license and the means to use Tableau Desktop and Tableau Prep. When purchasing Creator licenses for Tableau Server, you will receive two different licenses: one for your Desktop/Prep users and one for the Tableau Server Admin to activate on Tableau Server. 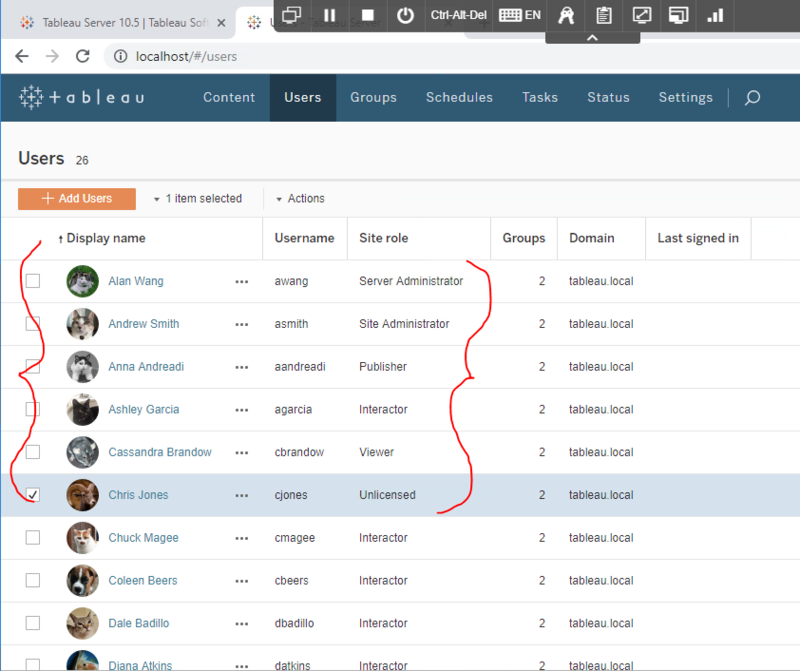 The post Changes in Licensing and Site Roles When Upgrading Tableau Server appeared first on InterWorks.